Are you planning to come to Pithoragarh by flight? Are you looking to book your seat for Naini Saini Airport Pithoragarh? If yes!! the wait is over. 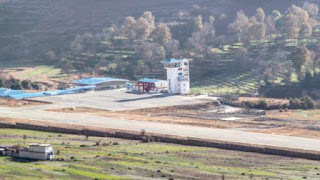 As Heritage Aviation is going to provide Airlines Services in Uttrakhand's Hill Station "Mini Kashmir" to Dehradun and Pantnagar and Pantnagar to Dehradun under UDAN scheme. As per recent trails of DGCA and Heritage Aviation officials regular flight was scheduled to be on 10th Jan'19 and online bookings to be started from 9th of Jan'19. 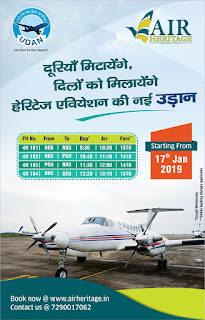 But as per officials of Heritage Aviation on 9th Jan'19, the regular flight from Pithoragarh can take a week more and now the site for booking has been released. Its good news to and time to celebrate for the people of Pithoragarh.